The next installment in Apple's iPhone OS brings with it expanded support for third-parties including swappable keyboard and more open TouchID access. 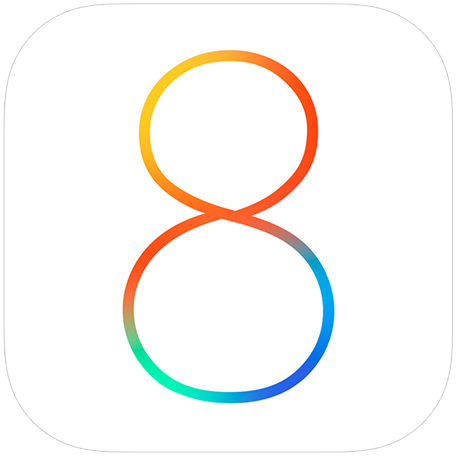 Apple took the wraps off iOS 8 at their WWDC event in San Francisco, showing deeper integration with OS X and third-party applications. New developer tools and APIs were emphasized by the company with a number of new "kits" announced along with various OS improvements. For starters, third-party keyboards are now supported in iOS including gesture typing ones such as Swype and SwiftKey. This comes in addition to a new QuickType feature that's been added to the default Apple keyboard, offering suggestions based on the context of a conversation and the application that's being used. TouchID has also been opened up to external developers, with apps now able to secure all or some of their content using the fingerprint sensor. Apple is also emphasizing new sharing features across devices, starting with Continuity/Handoff that were announced with OS X Yosemite. The sharing also extends across multiple Apple IDs and devices, with families now able to share iTunes purchases such as books, apps and music. This feature comes with increased parental controls as well, allowing parents to set limits on what can be purchased as well as approve or deny pending acquisitions. A number of new APIs were also introduced at WWDC, chief of which are HomeKit and HealthKit. HomeKit is the same home automation feature that was rumored last month and users can now discover/pair with devices in their home, theoretically allowing Siri to turn off the lights and lock the doors with a simple "I'm ready for sleep" command. As for HealthKit, it provides a centralized location for the storage and sharing of health-related data from multiple apps and accessories, offering pretty much the same as Samsung's SAMI. 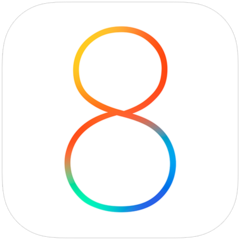 iOS 8 features a number of other additions, with the Message app now supporting audio and video snippets, expanded Spotlight search just like the new OS X and the ability to reply to messages and reject invites directly from Notification Center. The OS is available immediately to developers, but as usual, the rest of the public will have to wait till later in the year. TouchID now features support for third-party applications. HealthKit is Apple's direct competitor to Samsung SAMI. HomeKit allows users to automate their home directly from iOS. Handoff offers better transition across OS X and iOS devices.